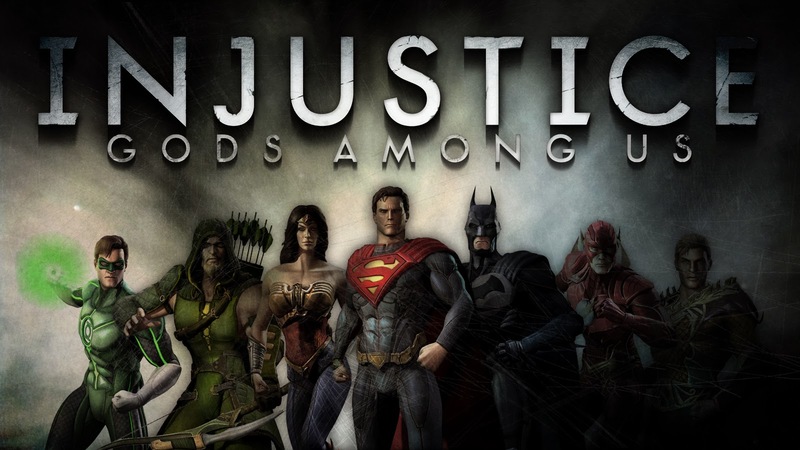 Injustice: Gods Among Us is great mash up of Mortal Kombat fighting with DC super heroes taking the lead roles. The storyline was the main reason I purchased the title. Once you complete the basics of the game and learn how to play, it is easy to jump from character to character. 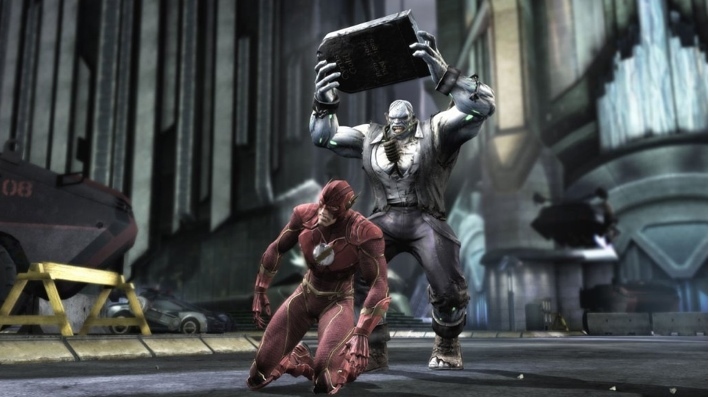 While fighting as The Flash, you feel like you are playing him, moving quickly zipping in with lightning fast punches and playing as Superman (my least favorite), you feel like you are hitting hard. All of the characters play and act like they should, their style of fighting matches the way I envisioned the character from the comics. The in game fighting plays quickly, most matches not lasting that long. The power meter fills up, allowing you to super charge your moves, but do a super move or do what I feel to be cheap, a wager. The wager allows both people to put up a portion of the meter, if the person who started the wager wins they regain health, if they lose their health decreases and a tie, ends in well, a tie. I feel this is weak, as this seems like just a cheap way to extend combat. The computer has a tendency to do this wager right as your bar fills up all the way, so you need to choose between letting them heal or hitting them with super moves or even super charged attacks. Other than this, the super moves are a great add-on. Superman uppercutting someone with full strength to send them into orbit, then pounding them back to earth or Doomsday pounding the person through the earth, reaches back into the comics. Most of the characters play fairly well. There are some minor balancing issues involved in the game however. When playing as a non super human, like Flash or Batman, you use objects in the environment to quickly maneuver around behind your target. If you were to try this same thing with a character like Doomsday, he would pick up said object and smashes your enemies face. Doing this, does both damage and eliminating the chance a fast character can use it to move away or maybe being hit with it yourself. This can cause some issues, as such you pick a strong character and just use this to your advantage. Its not a major issue however, the biggest problem comes from two of the characters in particular, Batgirl and Nightwing. These two characters have some broken abilities or some combos. Batgirl, while being a DLC character, has an infinite combo that is not difficult to learn and put into practice. Nightwing is not nearly as severe as he does roughly a 50% combo. While that is half your health bar there is a chance it will not kill you right when it starts. All and all a good game, but a few issues that can lead to some frustration in multiplayer. If you are a comic book geek as I am, you can either pick the game up or watch the Youtube video that strings all the cut scenes together. If you enjoyed the most recent MK game, this is worth picking up to give you some fresh faces. Mortal Kombat meets DC superheroes fighting. Well above par, looks amazing and the detail on the characters are very well done. The voice actors were chosen well to play their super counter parts. Each voice matches the characters to a satisfaction. Good to play through for the story, but it lost its draw once I completed that.